This braclet weighs about6 Grams. This can be customized to different chains. The prices here are tentative only. It will vary based on Gold Prices and CUsotmizations. Kindly get in touch with us to know the exact price. 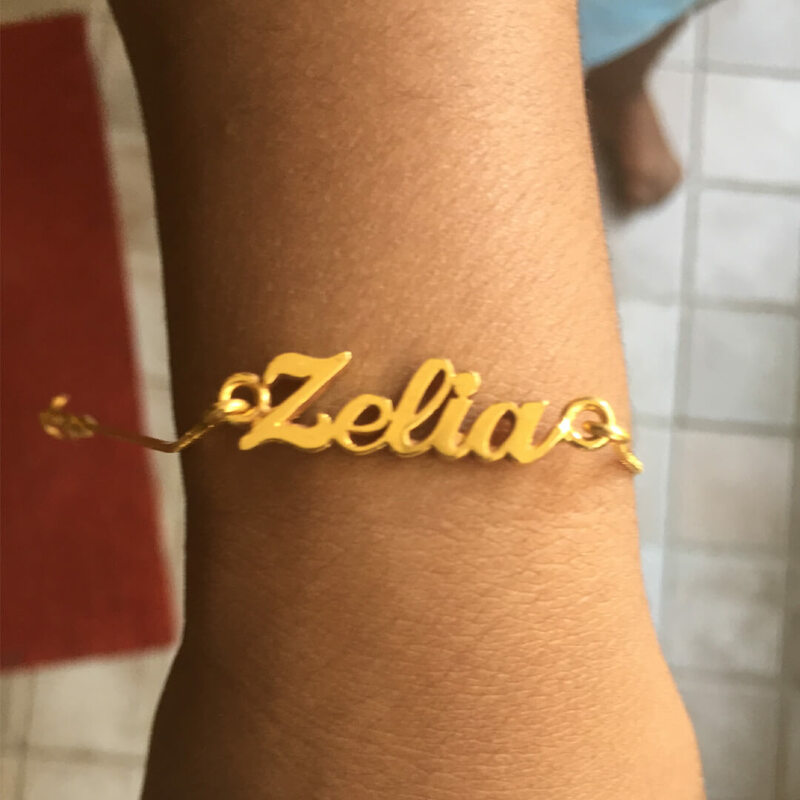 Custom Made Name Bracelet For Your Kids Naming Ceremony, or a First Birthday Celebration. Names are Unique, and are best Gifts if you are looking for something personal.